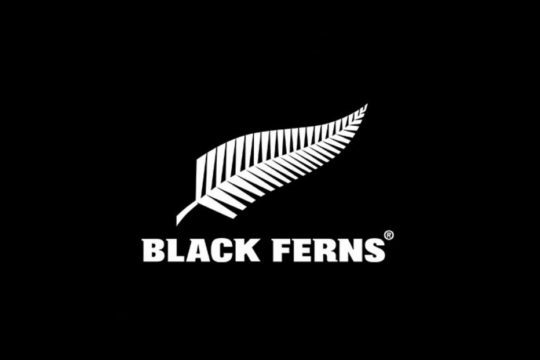 There were wins today for the New Zealand Barbarians Schools and New Zealand Secondary Schools in their matches today over Australia Schools and Fiji Schools respectively at a sun-drenched Porirua Park in the International Schools Series. 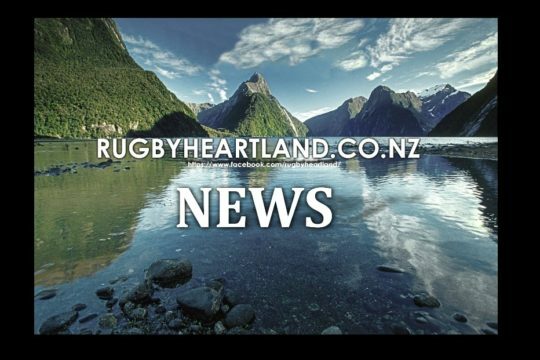 The New Zealand Barbarians Schools earned a 39-21 win over the Australian Schools. Australia played almost the entire match with 14 players, after first five-eighth Jordan Jackson-Hope was sent off for a dangerous tip tackle on Barbarians halfback Liam Howley. Despite this the Barbarians’ win was fully-deserved. They took their chances well and took the match to the Australians in the set-piece and contact areas, out-scoring the Australians five tries to two. New Zealand led 20-9 at halftime. 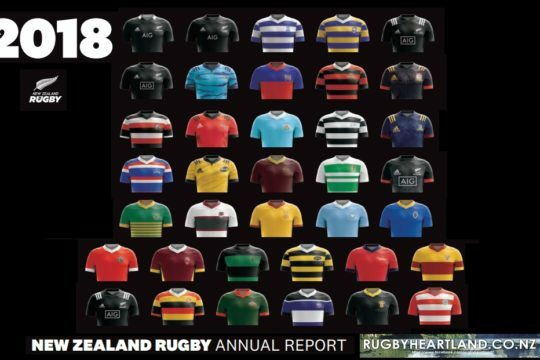 Barbarians No.8 Marino Mikeaele-Tuu, blindside flanker Fin Hoeta and both locks, Paripari Parkinson and Isaih Walker-Leawere all played with energy. first five-eighth D’Angelo Leuila scored17 points. For Australia Captain and No. 8 Harley Fox halfback Harrison Goddard and fullback Jordon Fuilivai all played strongly. The match got off to an explosive start when Jackson-Hope was rightly red carded for a rushing up and effecting a dangerous tip tackle on Barbarians halfback Howley. Reduced to 14 men, Australian halfback Goddard opened the scoring with a 40 metre penalty. The Barbarians then rocked the Australians by scoring the first try of the match, after fullback Caleb Makene sliced clean through in broken play, which led to a defensive Australian lineout in their own corner. Barbarians lock Isiah Walker-Leawere won the lineout, but Australia held on for a relieving scrum. But more pressure at the set-piece saw the Barbarians win the attacking feed and Leuila cut through to score and convert his own try to make it 7-3. Both teams exchanged penalties and the Barbarians led 13-9 with about half an hour to play. After making an earlier run up the sideline, local player and St Pat’s Silverstream wing Losi Filipo then finished off a clinical move from an attacking scrum the near side of the field. Exploiting their overlap in the backs, the Barbarians ripped the ball out to the Filipo who flew in to score. Leuila made no mistake of the sideline conversion and the Barbarians led 20-9 at halftime. The second half lasted 10 minutes before the first points were scored. After probing early, the Australians made a line break up the middle of the field. Openside flanker Hugh Summerhayes was brought to ground in a solid tackle by Barbarians second five-eighth Alex Nankivell, but fullback Jodran Fulivai ran in the try to close the gap to 20-16. Barbarians fullback Caleb Makene replied with their third try, finishing off another break in general play after the ball was toed ahead and regathered, and the home side led 27-16. Two minutes later, Barbarians halfback Liseti Milo-Harris placed a box kick over the top of a ruck for right wing Shelford Murray to run on to and score off and extend the lead to 34-16. Australian halfback Harrison Goddard scored off the base of a scrum to close the score to 34-21 with 10 minutes to play. But the Barbarians finished the match strongly, lock Paripari Parkinson diving over to score near the posts to seal a well-deserved victory. The New Zealand Schools’ have opened their two-match international series with a record 58-0 win over Fiji. New Zealand’s largest victory previously against Fiji was 46-3 in 2002. New Zealand scored five tries in the first half and led 31-0 at halftime, adding five more in the second half. The Fijians fought hard to the end but couldn’t match New Zealand’s pace and strike-power. 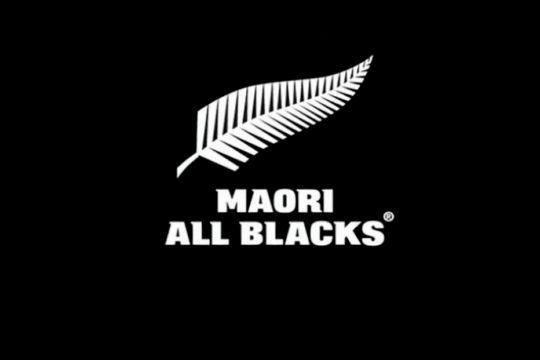 New Zealand set the tone early, almost opening the scoring after just a few minutes off a sweeping move involving local Scots College left wing Malo Tuitama and also involving Auckland Grammar School right wing Shaun Stevenson. 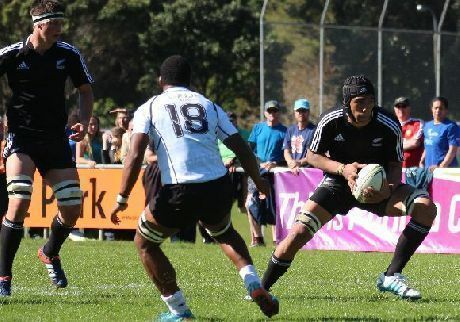 Captain and centre Reiko Ioane, playing out of Auckland Grammar School, posted the first try soon after, putting New Zealand 7-0 in front . No.8 Hapakuki Moali-Liava’a, out of Massey High School, scored the next two tries, the first from forwards power and the second after a clean break up the middle by halfback Sam Nock. New Zealand led 19-0 after as many minutes. St Pat’s Silverstream lock Lui Okeamoa-Luamanu scored a popular try galloping up the grandstand touchline and scoring in front of the hotdog stand. Tuitama made another scything break and he linked up with his Scots College teammate TJ Va’a, who found Moali-Liava’a and Nock in support and the Auckland Grammar School number nine Nock crossed under the posts. Scots College prop Alex Fidow scored another popular try several minutes into the second half after that man Tuitama cut Fiji up out wide. 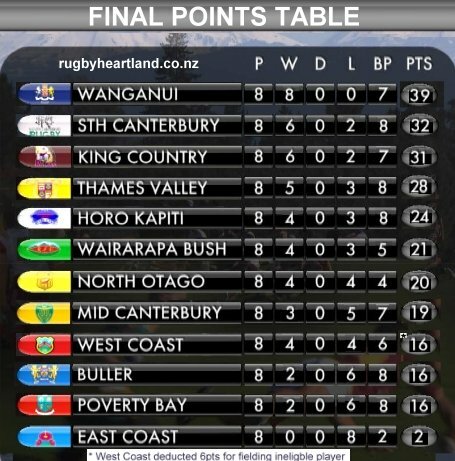 New Zealand were dominating now, and Tuitama crossed himself, followed by replacement wing Jonah Lowe out of King’s College Auckland with the first touch of his ball, off lovely lineout ball by Nelson College lock Quinten Strange, and Ioane for his Brace and St Peter’s College fullback Jordan Trainor at the end after another break by Nock.